For forty years they flooded Colorado?gold diggers, silver miners, outlaws, gamblers, and pioneers?looking for another Golden Fleece. Colorado comes alive in this classic overview of the gold and silver rushes, where fortunes were won and lost. Phyllis Flanders Dorset has re-created a lusty frontier scenario of one of the most exciting chapters in American history. 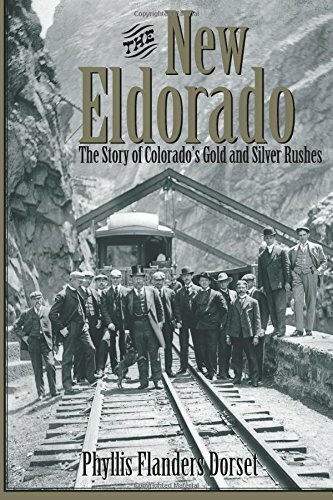 Crammed with colorful characters and unforgettable incidents, The New Eldorado races through lawless, thrilling, turn-of-the-century Colorado with the fascination of a novel and fidelity of scholarly history. Phyllis Flanders Dorset is a freelance technical editor and the author of Historic Ships Afloat. Phyllis Flanders Dorset: Phyllis Flanders Dorset is a freelance technical editor and the author of Historic Ships Afloat, published in 1967.